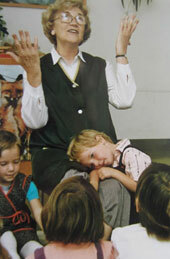 The International Katalin Forrai Award commemorates the worldwide contribution to Early Years Music Education made by Katalin Forrai during her lifetime. It also aims to encourage, inspire and reward teachers in Early Years, Nursery and Kindergarten settings throughout the world who are contributing to her legacy through their work with children and teachers today. The Committee is delighted to announce the fourth Presentation of the International Katalin Forrai Award. The Award is under the auspices of the International Kodály Society. Naomi Chinen [Japan] and Christiane Pineau [France] received the Award at the first Presentation. Dr.Ilona Gróh Gállné [Hungary] and Sr. Lorna Zemke [USA] received the Award at the second Presentation and Ewa Krzatala [Canada] was the recipient of the Award at the third Presentation. Further information about these events and about the Award may be found by visiting the Newsletter on the website of the International Kodály Society [www.iks.hu]. The fourth Presentation will take place during 2019. The successful nominee will be offered the choice of where the Award Ceremony will take place. The options are: 1, during the 24th International Kodály Symposium; 2, at a suitable occasion in Hungary and 3, at a suitable occasion in the recipient’s own country. 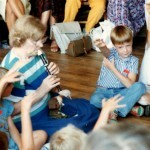 The purpose of the Award is to commemorate the worldwide contribution to the music education of young children made by Katalin Forrai during her lifetime. It is also to encourage, inspire and reward teachers in Early Years, Nursery and Kindergarten settings throughout the world who are contributing to her legacy through their work with children and teachers today. The Award will comprise a Certificate, and an ornamental owl which symbolises Kati’s great wisdom. It was in the Csobánc Utca Kindergarten later in 1980 that I first had the great fortune to observe Katalin Forrai teaching three groups of children – the first aged 3/4, the second 4/5 and third group in their final year at Kindergarten, aged 5/6. The progression within each lesson and from group to group was a sheer delight to behold, and this was brought about by the inspirational enthusiasm of Kati as she delivered each lesson in its carefully planned way. 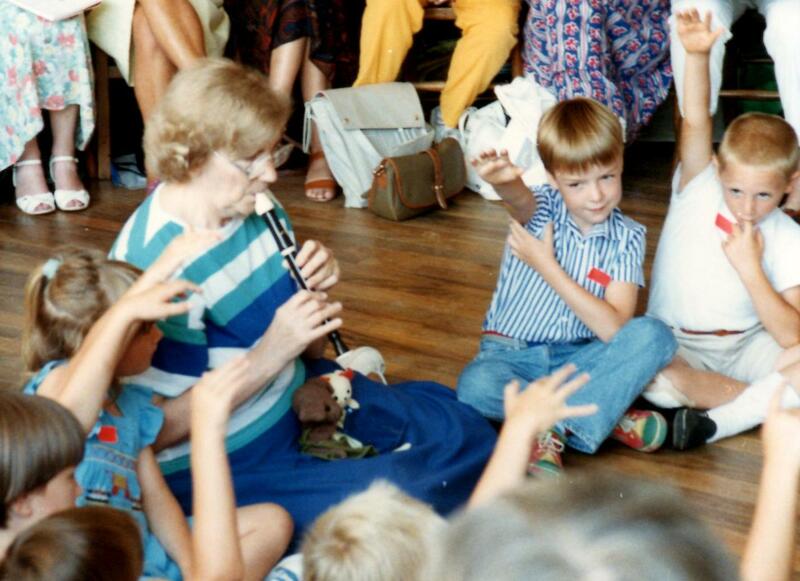 The children were so keen to participate and demonstrate their musical skills as the lessons progressed that the atmosphere still lives so vividly within me today. Here I saw first-hand the way in which music influences everyone in an emotional and artistic way. I experienced the importance of the teacher always being an excellent role model for the children they teach, and the development of pulse, pitch and rhythm through carefully selected rhymes, songs and games. Kati joined the renowned team of tutors at the BKS Summer School for the first time in August 1987 and in the autumn of 1987 she returned to the UK, and included a visit to Holmesdale County Infant School where I was Deputy Head Teacher in her programme. The children proudly participated in their normal music lessons during her visit. Children from Holmesdale also participated in the BKS weekends at Queensgate School in London lead by Kati in 1987 and 1988. In 1988 I took up the Headship of Godstone First School in Surrey, where we hosted weekend events lead by Kati, and In August 1989 and August 1991 children from Godstone participated in a demonstration with Kati and with myself respectively at the Annual Summer Schools in Cheltenham. Kati was a great inspiration to me, the children whom I taught and cared for, and to countless teachers and children here in the UK, and throughout the world. I personally shall never forget her urging people to remember that the glass is always half full, never half empty, and to this day I can hear her saying ‘’not too bad’’! I treasure the memories of enabling Kati to meet the children at the schools within which I worked, and also of offering her hospitality at my home on various occasions. I trust that these thoughts are a fitting testimony and tribute to Kati’s widespread inspirational contribution and lasting legacy to children and teachers in the UK.